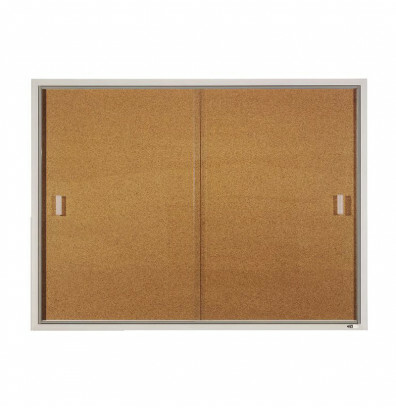 Quartet D2405 indoor 6' W x 4' H sliding door cork bulletin board efficiently keeps employees up-to-date while minimizing the risk of damage to important documents. Clear, tempered glass windows ensure visibility for your message while convenient sliding doors allow for easy updates. Sliding doors feature a showcase lock to secure your documents in place. The sleek, aluminum frame is designed to complement any office interior. 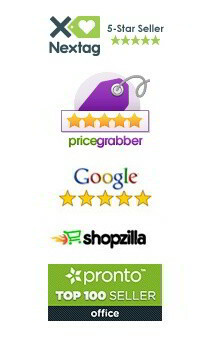 Clearly display and protect information behind tempered glass windows. Keep important documents safe with the durable showcase lock. 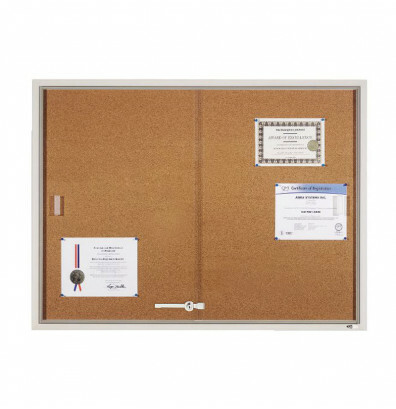 Secure postings to board on the resilient, self-sealing natural cork tacking surface. Silver finish anodized aluminum frame complements any interior. Easily update information with smooth sliding doors. Enhance communication in indoor environments. Showcase lock includes one key.